According to Wiki, the Haka is a traditional ancestral dance from the Māori people of New Zealand using the hands, arms legs, feet, eyes, voice and tongue to express courage. 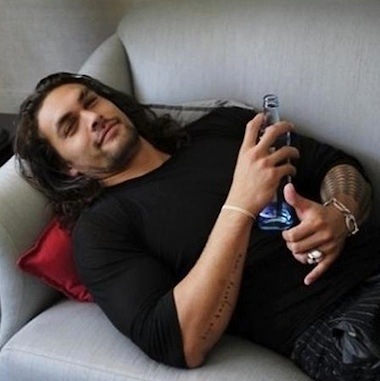 Interesting bit of trivia for the Thrones fans, Momoa did the Haka when he auditioned for the role of the now-deceased Dothraki warlord Khal Drogo, sun and stars to the Queen of Dragons. “It’s very, very powerful, and I wanted to capture that. I just thought it was apt for the role because it’s beautiful and scary,” he said of the dance he did for the shirtless audition. GoT joke: Why doesn’t George R. R. Martin use Twitter? …Because he killed all 140 characters.